Since late 2017, the Donald J. Trump administration has significantly altered long-standing U.S. policies toward the Palestinian Authority (PA) and Palestinians more broadly. It has eliminated practically all U.S. financial assistance to Palestinians; ended U.S. contributions to the UN Relief and Works Agency (UNRWA); embraced Israeli positions on crucial “final status” negotiation issues; closed the Palestine Liberation Organization’s office in Washington, DC; moved the U.S. embassy to Jerusalem; and supported legislation that ended U.S. assistance to Palestinian security forces, over the objections of even Israeli officials. As it prepares to launch a much-anticipated Middle East peace plan, the administration has not had direct discussions with Palestinian representatives for more than a year. The logic of the Trump administration’s approach appears to be that a tougher U.S. policy will force the Palestinians to abandon long-held but unrealistic positions and make necessary concessions to reach peace with Israel. However, the administration’s approach makes an agreement between Israelis and Palestinians less likely, not more. Cutting U.S. assistance for hospitals, infrastructure, and refugees will cause additional human suffering, undermine those Palestinians who support peace, and turn Palestinian opinion even further against the United States. By ignoring Israeli settlement expansion and aligning itself with maximalist Israeli policy on Jerusalem and refugees, the United States will further close the door to an eventual two-state solution, jeopardizing Israel’s future as a democratic, secure, Jewish state. At worst, the U.S. approach could lead to a social and political explosion on the West Bank and Gaza that will threaten Palestinians and Israelis alike. To avoid such dire outcomes, the Trump administration should rethink its current course. It should forego introducing a comprehensive peace plan that, under current circumstances, has almost no chance of success and instead take steps toward improving conditions on the ground and preserving prospects for more ambitious agreements. These steps include restoring previous levels of financial assistance for refugees and humanitarian projects in the West Bank and Gaza, using U.S. leverage with Israel to improve daily life and freedom of movement for Palestinians, including by constraining settlement expansion, committing to the goal of a Palestinian state with a capital in East Jerusalem to balance the move of the U.S. embassy from Tel Aviv, amending recent congressional legislation—the Anti-Terrorism Clarification Act (ATCA)—with a waiver so that assistance to the PA can be preserved, and taking steps to improve Palestinian economic growth. For most of his first year in office, Trump avoided initiatives that could upset prospects for peace and maintained a serious dialogue with the Palestinian leadership. But this generally balanced approach changed dramatically in December 2017 with the U.S. decision to recognize Jerusalem as Israel’s capital and to move the U.S. embassy there—without getting anything from Israel in return. Trump argued that this unilateral move—one that was opposed by 128 countries in the United Nations—took the issue of Jerusalem “off the table.” In fact, it placed the issue front and center as an obstacle to agreement not just for Palestinians but for the Arab leaders Trump had been counting on to support the plan. After Trump announced the move, Palestinian leaders broke off contacts with Trump officials; those contacts have yet to resume. The Trump administration’s next major step was to cut financial assistance to the Palestinians. In August 2018, the administration announced plans to eliminate all fiscal year (FY) 2017 assistance to the West Bank and Gaza, amounting to some $231 million. The targets included U.S.-funded projects—such as schools, hospitals, and water and sewage projects that serve thousands of Palestinians—many of which will now be abandoned. The administration also cut $10 million in funding for reconciliation programs that bring together individuals of different ethnic, religious, and political backgrounds from areas of conflict. As a result, the U.S. Agency for International Development (USAID) has suspended projects in the West Bank and Gaza, and plans to lay off local staff. The refugee issue cannot simply be defined away. A month later, the administration announced it would reprogram all U.S. humanitarian contributions previously allocated to UNRWA, which provides support to some five million Palestinian refugees and their descendants. As the world’s leading donor to UNRWA, the United States had been providing around $359 million (roughly 25 percent of the agency’s overall 2017 budget). The Trump administration maintains that this move will save money and force other countries to pay the bills and that denying assistance to the descendants of refugees will undermine their political claims. But the refugee issue cannot simply be defined away, and long-term substitute funding has, unsurprisingly, proven difficult to secure: UNRWA now needs more than $1 billion to maintain 2018 levels of assistance, a situation its director calls “the most severe financial challenge” in the agency’s history. The administration has also been shutting down mechanisms for dialogue and cooperation with Palestinians. In September 2018, Trump announced he was closing the Palestine Liberation Organization’s office in DC. He followed that move by announcing the closure of the U.S. consulate in Jerusalem—which has for decades been the conduit for U.S.-Palestinian relations—placing its functions under the authority of the U.S. ambassador to Israel. Justified by the administration in terms of improving “efficiency,” in reality the move means treating Palestinians of the West Bank bureaucratically and symbolically as part of a greater Israel and reinforcing the Israeli perspective in diplomatic reporting to Washington. In October 2018, Trump signed ATCA, a law that subjects all recipients of nonmilitary financial assistance to potential lawsuits by U.S. citizens; it went into effect on February 1, 2019. While many members of Congress supported ATCA with good intentions, the law had the consequence of forcing the Palestinian Authority to reject all remaining U.S. assistance to avoid billions of dollars in potential legal liabilities. The result—an end to all U.S. security assistance to the PA—has left even Israeli security officials deeply concerned. The position of U.S. security coordinator, a three-star U.S. general who since 2005 has overseen the training of Palestinian security forces for critical counter-terrorism and counter-narcotics work, will assume a cooperation-only mission. Instead of compelling Palestinians to accept a deal, the new measures are having the opposite effect. Instead of compelling Palestinians to accept a deal, however, the new measures are having the opposite effect. With the end of U.S. assistance and with U.S. alignment with Israeli positions on crucial political issues, Palestinian leaders have cut off political contact with Trump officials. Two-thirds of Palestinians now oppose the resumption of contact with U.S. negotiators and 88 percent view the United States as biased toward Israel. The clearest product of the administration’s approach has not been Palestinians bowing to U.S. demands but seeking—and to a degree gaining—support for greater international recognition of Palestinian statehood and for diplomatic and economic pressure on Israel. Put off the announcement of a plan for comprehensive peace until prospects for success are more propitious. Under current circumstances, there is little chance that peace negotiations will get started and virtually no chance such talks would succeed. The majority of Israeli Prime Minister Benjamin Netanyahu’s current cabinet does not even support a two-state solution and PA President Mahmoud Abbas is too weak and unpopular to sell an agreement even if he agreed to one. Under these conditions, if past is prologue, the most likely result of a U.S. peace initiative will be immediate Palestinian rejection, followed by qualified Israeli support, which would only further poison the atmosphere between Palestinians on the one hand and Israelis and Americans on the other. The outcome of the April 9 Israeli elections could or could not provide an opening, but launching a comprehensive peace plan before both sides are ready to negotiate seriously with each other would do more harm than good. Worsened conditions could lead to civil unrest. Restore financial assistance, including to UNRWA, to pre-FY2017 levels. There is little sign that cuts in U.S. assistance to the Palestinians will force them to the negotiating table and every sign that the cuts will have serious humanitarian consequences. Aid organizations assess the cuts will affect critical services: emergency food aid, health care for anemia and malnutrition, access to clean water, rehabilitation services for cerebral palsy, and breast cancer treatment. 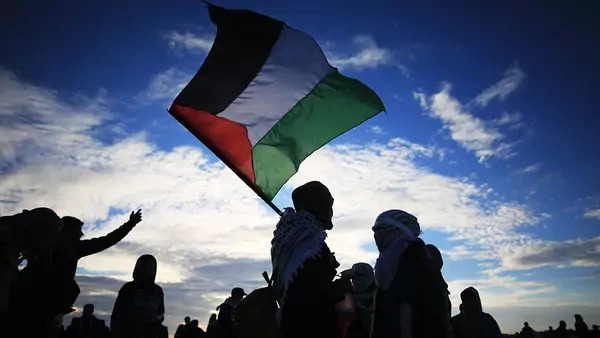 Worsened conditions could lead to civil unrest and drive increasing numbers of Palestinians toward groups and individuals that advocate for violence to achieve their political aims. Announce the U.S. policy goal of a Palestinian state with a capital in East Jerusalem. U.S. recognition of Jerusalem as the capital of Israel was consistent with long-standing U.S. ambitions and, in many ways, simply recognized a practical reality. And the Trump administration constructively made clear that Jerusalem’s borders and issues of sovereignty would still be up for negotiation. Still, by taking Israel’s side on such a sensitive issue and not even recognizing the Palestinian aspiration to statehood with a Palestinian capital in Jerusalem, the administration deeply alienated not just Palestinians but Arab leaders, who have reiterated they will only support Trump’s plan or normalize relations with Israel if this issue is addressed. The administration could mitigate the damage of its unilateral move by announcing that the creation of a Palestinian state with a capital in East Jerusalem is also a U.S. policy goal. Amend the Anti-Terrorism Clarification Act to permit assistance to Palestinians. The Trump administration should ask Congress to amend this law to allow the restoration of assistance to Palestinians—at a minimum for PA security forces. Failure to do so will severely undermine the PA’s ability to fight terrorism and drug trafficking on the West Bank, ironically making more likely the very types of attacks the act is designed to deter. Support initiatives to enhance the Palestinian economy and Israeli-Palestinian cooperation. The administration should support bipartisan initiatives to improve Palestinian economic growth and job creation. Specifically, the bipartisan Palestinian Partnership Fund Act of 2018 would promote economic development and joint ventures between Palestinian entrepreneurs and U.S. and Israeli companies in sectors such as electricity, water, research, and technology. Israel could also help by allowing Palestinian economic development on more of the 61 percent of West Bank territory currently administered by Israel. Such measures would not only create jobs and well-being for Palestinians but also undercut the arguments of Hamas and other groups that promote violence to achieve their political aims. The Trump administration and its supporters justify their new approach to the Palestinians on the grounds that the old approaches toward the Palestinians were not working so it makes sense to try something different. But there is little reason to believe that the recent changes made in U.S. policy will lead Palestinians to accept an eventual peace deal, and every reason to believe that major cuts in humanitarian and security assistance will cause more suffering, empower extremists, and drive Palestinians toward support for a one-state solution based on equal rights that threatens Israel’s future as a Jewish and democratic state. Even if the United States implements all these recommendations, the Palestinians would have much hard work to do themselves. Even if the United States implements all these recommendations, the Palestinians would have much hard work to do themselves, including combating terrorism, incitement, and corruption; restoring confidence in PA institutions; accepting necessary compromises on final status issues; and ultimately forming a united government that exercises control of Gaza and recognizes Israel’s right to exist peacefully alongside a Palestinian state. But at least Palestinians would not have the pretext of refusing these actions as a result of a U.S. policy based on coercion and punishment alone. Changing direction at this point would of course not be easy for the Trump administration. But on issues ranging from North Korea to Afghanistan to Syria, Trump has shown himself more than capable of reversing course when he sees a need to do so, and the upcoming Israeli elections—and the likely Arab responses to previews of his peace plan—could provide an opportunity to reset policy on this issue as well. The United States may not be able to solve the long-standing Israeli-Palestinian conflict, but it can and should certainly avoid making it worse. The steps proposed here would immediately improve living conditions for millions of Palestinians while preserving the longer-term prospects for comprehensive peace.